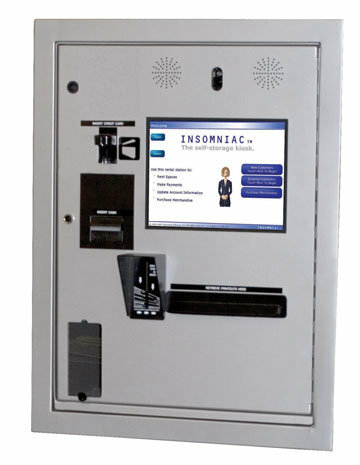 Kiosks – OpenTech Alliance, Inc. 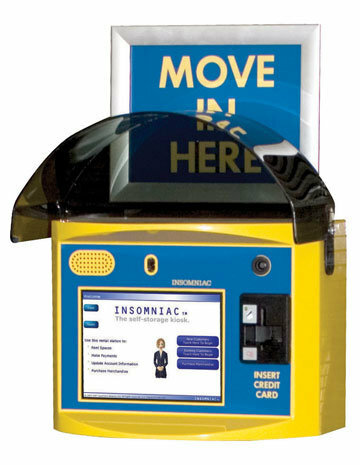 In the same way ATMs made banking more convenient, the INSOMNIAC kiosks make self-storage renting more convenient. (And more profitable for those who offer that convenience). Next time you’re at your bank, watch how many people use the outside ATM versus banking inside. It’s a high percentage. The same thing happens when you have an INSOMNIAC kiosk. And customers aren’t just using it for monthly payments either; they use it to rent their initial storage units as well, especially if they come to your facility outside of regular business hours or when your manager is busy. Using a touch screen computer, customers select an available unit, opt for insurance (even a lock), then sign the lease and move in. All the paperwork and payments are completed at the kiosk. Giving your manager an instant replay. While customers are using the system, the kiosk is digitally recording their every move. It records all screen activity as well as what customers are saying. Your manager can use the IReplay feature later to see and hear each user’s experience. It’s like having a 24/7 assistant manager. Throw away your “Closed” sign, you will not need it. 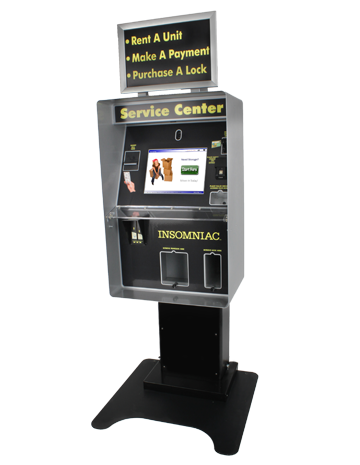 With an INSOMNIAC kiosk, customers make rentals and payments at their convenience, regardless of whether an actual manager is available. 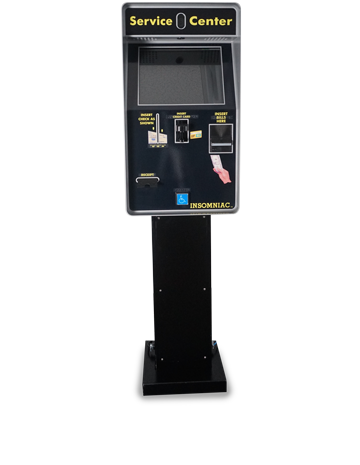 Integrated with your favorite management software, the kiosk automatically applies payments and provides real-time updates of inventory and reports. It even maintains the same security and gate policies already configured into your software. Helping “close the sale” with 2-way video. 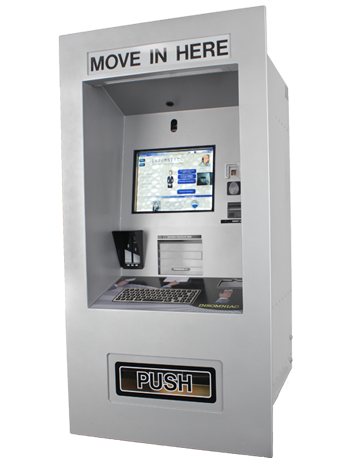 Equipped with 2-way video and VoIP technology, the kiosk brings customer service to a whole new level. Let’s face it, no matter how simple you make renting units or paying, there will always be some customers who need assistance. Now you have the option to have calls from the kiosk routed via real-time video stream to our call center during business hours. A helpful Storage Counselor will assist your customers “face to face,” holding their hands through the entire process. to $18,000 and typically pay for themselves in less than one year. drop us a note or call us at 800.481.7459.